Today, rock and roll legend Chuck Berry is celebrating his 90th birthday in a big way—by announcing his first album in 38 years. Chuck will release in 2017 via Dualtone Records. The album contains primarily new, original material—written, produced and recorded by the rock and roll pioneer himself. Having supported him for two decades at the Blueberry Hill club, for a backing band, Berry recruited those he knows best: his children, Charles Berry Jr. and Ingrid Berry, on guitar and harmonica respectively; Jimmy Marsala on bass; Robert Lohr on piano and Keith Robinson on drums. 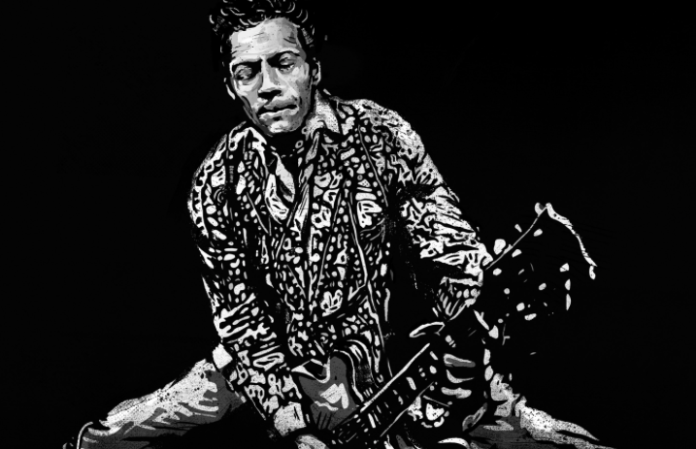 A native of St. Louis, Missouri, Charles “Chuck” Berry was born in 1926. He was among the first class to be inducted into the Rock And Roll Hall Of Fame in 1986 (the 2017 nominees were also announced today), he received a Grammy Lifetime Achievement Award in 1984 and his classic hit—”Johnny B. Goode”—was the only rock and roll song to be launched into space with 1977's Voyager Golden Record. Berry also punched Keith Richards in the face for picking up his guitar when the Rolling Stones' guitarist was backstage at his gig. He might be a king of rock and roll—but that's pretty punk rock. Look out for more details on Chuck in the coming weeks.